A crochet gift for my friend's cats. Part of a gift basket of homemade goodies I hope to put together for them. 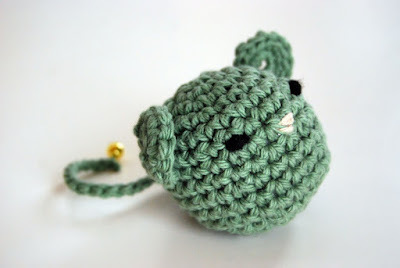 You can find this free amigurumi mouse cat toy pattern from Lion Brand. You must register to view pattern. On another note, I found out I've been linked for my printable Christmas gift tags by a site called Free Printable Fun. Go check it out!